Often times, people don’t think about how important it is to have a strong and healthy spine. Especially now that the majority of people spend most of their days slumped over a computer screen or a smartphone. That’s why it’s so important to take time away from your devices to focus on your body, health, and well-being. In this blog, we will discuss the top five yoga poses that you can use to optimize the health of your spine. Then we will explain why it’s important to maintain a strong and healthy spine for long term results and other ways to strengthen your spine outside of the yoga studio. The following yoga poses will help you build a stronger spine, which has many long term benefits. How-To: Start flat on your stomach with your feet and legs pressed together. Allow your forehead to touch the floor and place your hands on either side of your chest with your fingers spread apart. Then breathe in as you lift your head and chest without using your hands. Next lift your hands about one inch off the floor and hold for a few breathes. Lower yourself on an exhale. Long Term Benefits: This pose will strengthen and tone the muscles in your back while increasing the flexibility and stability of your body. How-To: Just like the Low Cobra, start face down on your stomach with your feet and legs pressed together. Allow your chin to rest on the floor while you interlace your fingers behind you. On an inhale lift your head, chest, and arms reaching back towards your feet. Hold for a few breaths then lower on an exhale. Long Term Benefits: The locust pose will help you strengthen your back muscles and correct any rounding of the shoulders. It’s also good for your spinal region since this pose is the beginning pose for learning a backbend. How-To: Start lying flat on your back then bend your knees and place your feet on the ground hip-distance apart near your buttocks. Lay your arms out flat along your body with your palms on the ground. Then exhale, tilt your tailbone towards your pubic bone, flatten your back, and prepare to lift. On an inhale you will lift your hips upwards, allowing your chest and spine to curve. Stay there for a few breaths then lower on an exhale. Long Term Benefits: This is one of the best yoga poses if you’re looking to strengthen the lumbar and buttocks/gluteal area. It also helps strengthen your shock absorption ability. How-To: Start in Tadasana (aka Mountain pose) with your feet together and your hands at your sides with the palms facing the front of the room. Then step one foot back about three feet. Turn the toes on your back foot to a 45 degree angle then inhale and raise your arms straight up with your palms facing each other. Breathe out and bend your right knee 90 degrees. You can hold this pose for a few breaths then switch sides. Long Term Benefits: During Warrior I, you will strengthen your arms and back muscles. This is great for the long term health of your entire body. How-To: Begin on your hands and knees with your knees spread hip distance apart. Rest your buttocks on your heels then bow forward, allowing your torso to rest on your thighs and your forehead comes to the floor. Extend your arms with your palms facing down or together. Hold for a few minutes then walk your hands back up while you lift your body and sit upright. Long Term Benefits: This is a great pose to do at the end of all this. It opens the spine and stretches out the back. Outside of the yoga studio, you can also help the function of your spine through chiropractic care. 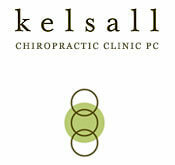 Kelsall Chiropractic in Portland, Oregon offers the best in chiropractic care, massage therapy, and understands the benefits of spinal strengthening that yoga offers. Our team of trained professionals help patients find health and happiness within their bodies so they can live a long and prosperous life. Strengthening the spine through yoga along with chiropractic care to optimize spinal health, ensures you are on the right track to see optimal long term results.